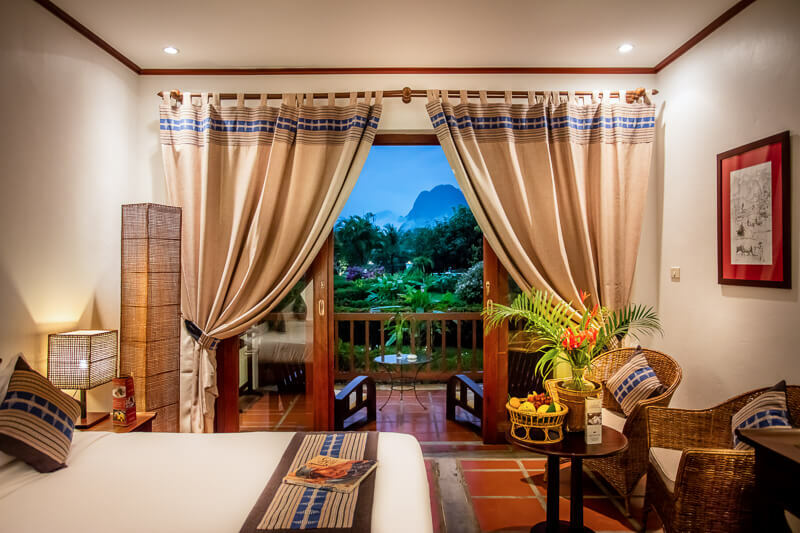 Riverside Boutique Resort provides twenty-eight Deluxe rooms (approximate size: 32 square meters) with a river, mountain and/or swimming pool view. 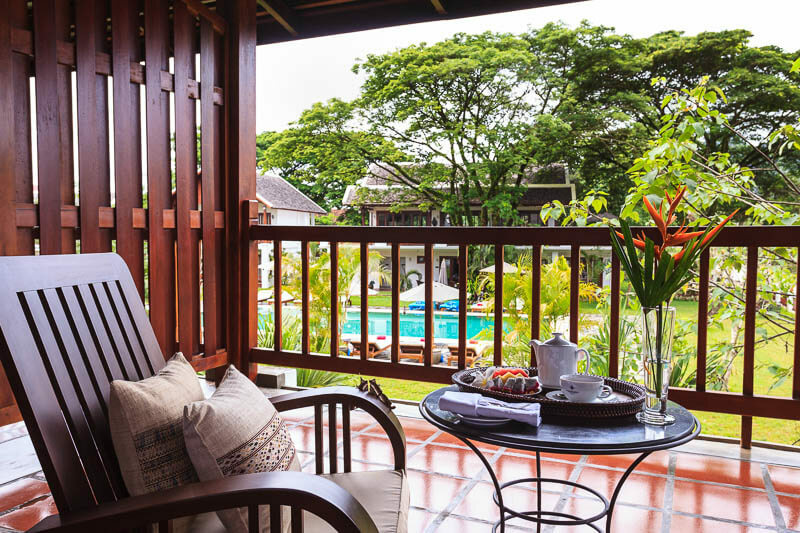 All rooms are luxuriously designed and equipped with wooden furniture. 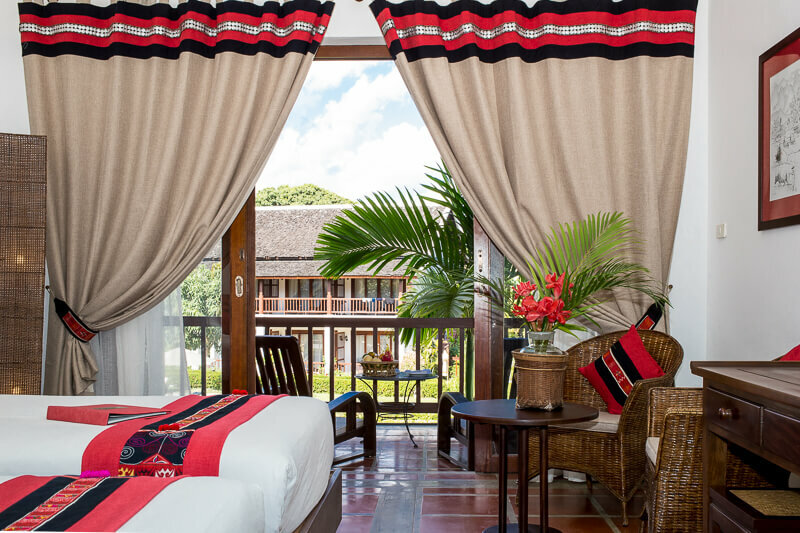 They are located in five two-story buildings, each with a different theme and exclusive fabrics and artefacts that reflect the wealth and beauty of five different ethnic groups (Akha, Hmong, Katu, Lanten, Tai Lao). 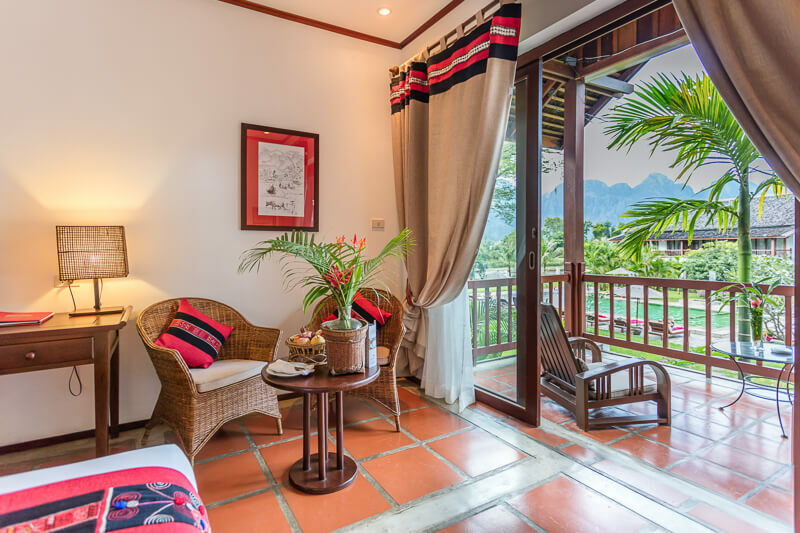 Each room benefits from a private balcony with stunning views over Vang Vieng’s limestone mountains. 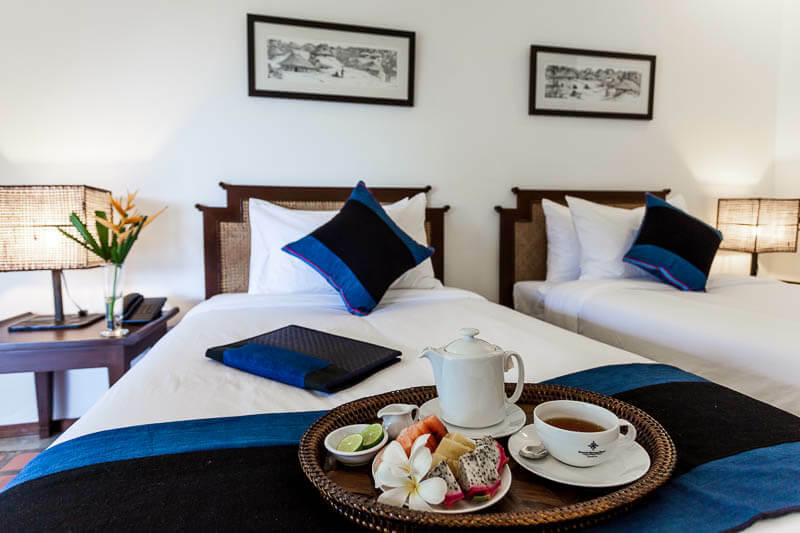 Occupancy policy: A maximum of two adults per room is allowed with the existing bedding. If a third adult stays in a room, the use of an extra bed is mandatory and it will be charged. Children policy: A maximum of two children under 12 years old can stay free of charge if they sleep in the parents’ or guardians’ room and use the existing bedding (or a baby cot subject to availability). Children aged 12 years and older will be charged as adults. 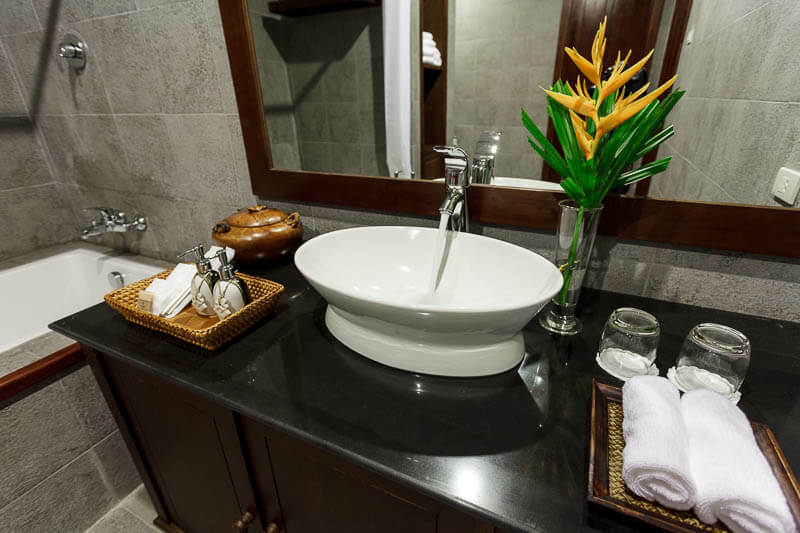 Kindly note that Riverside Boutique Resort enforces a no-smoking and no-pet policy in the rooms.